Unleash your precious pooch from low temperatures and let her relax in this adorable red dog sweater! The design is so unique that you can only find at Blueberry pet - the big heart is nicely kitted on the sweater. 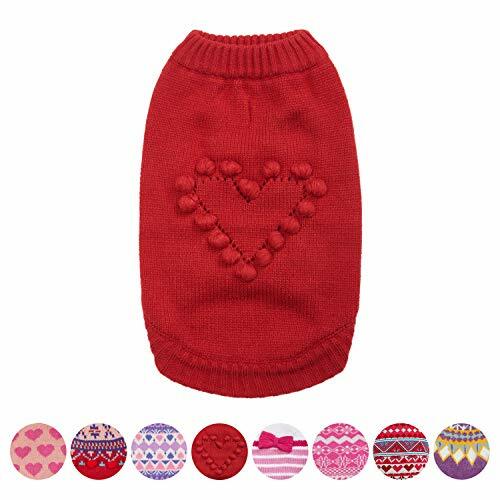 The heart design itself makes this sweater look adorable on any pooch! As time passes by, you will find this sweater a must buy for your pooches' daily outdoor activities. This little sweater will keep your pooch in the spotlight no matter she is at home, taking daily walks or playing at the park. This sweater is a great fall and winter season essential item for pups who need the extra warmth and protection.